DCT is Officially AS9100 & ISO9001 Certified. 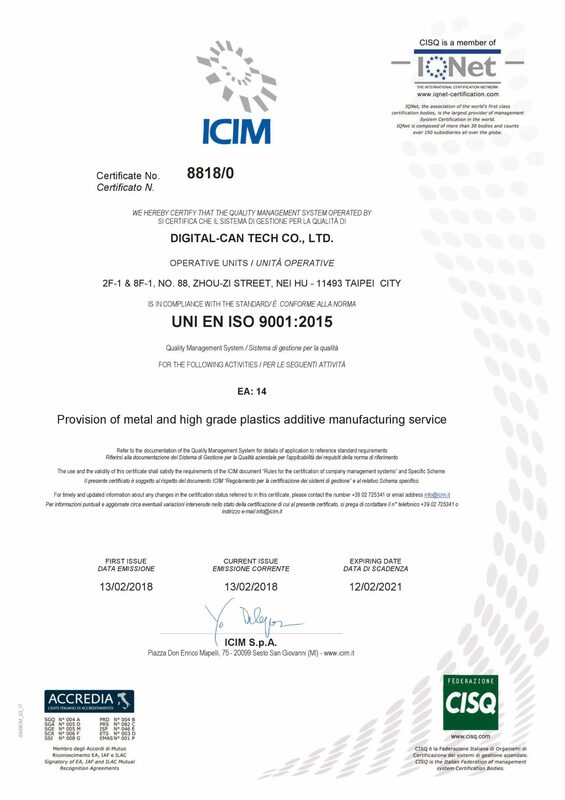 We first began to apply for ISO certification in March of 2016, and received our AS9100 & ISO9001 certification on February 16th, 2018. 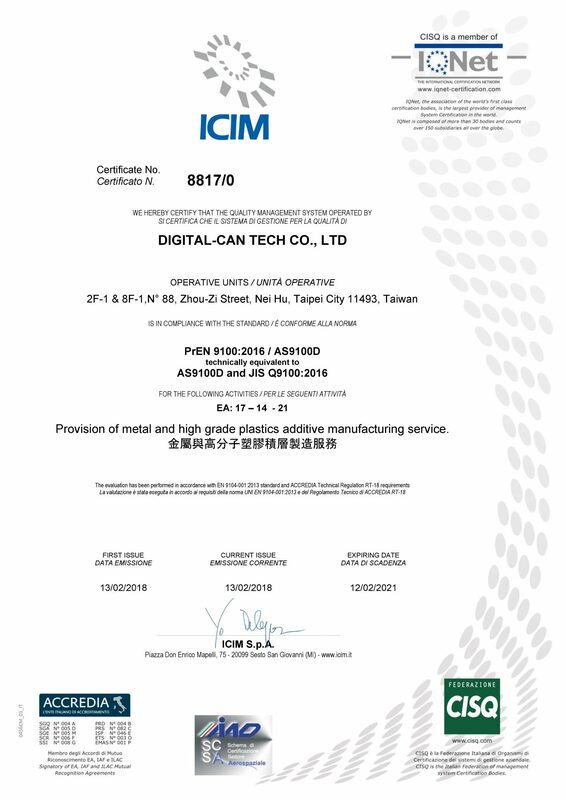 This allows DCT to become the first certified metal additive manufacturing supplier in Asia. For aerospace parts, we use industry’s highest graded equipment in EOS M290, combined that with Inconel 718, Ti64ELI, and 17-4PH, all of which are specific equipment for the special purpose of aerospace parts production.